In 1873 Tolstoy wrote that "Happy families are all alike; every unhappy family is unhappy in its own way". Similar sentiments led to the founding of family therapy about 50 years ago. Since then, the field has developed and expanded and been used to provide effective help for remarkably varied types of problems. Family therapists work to help family members find constructive ways to help each other. The goal is to achieve meaningful changes in both problematic individual issues, and in relationships within and beyond the family. Through family therapy, people learn to communicate in a different way, and to acquire the skills and resources that they need in order to achieve positive change. 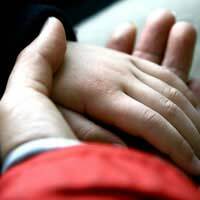 Most child and family psychologists now have a family therapy clinic within their practice. Given the tremendous range, the remarkable thing is that a lot of studies have shown that for all these issues, trained family therapists really can make a difference, with the benefits often more pronounced than those of other types of therapy and counselling. The basic premise is that family members form the context in which individual development occurs. Family members are interdependent in many ways, so the psychological development of each of them is closely entwined with the development of the family as a unit. Each person's behaviour is seen as being both an influence upon and a response to the behaviour of other family members. Some of the techniques of family therapy are general ones, which can be applied to a wide range of different families with very different problems. For example, huge importance is placed on looking towards the future, and moving everyone in the family forward, not only the one who is ill or has behavioural problems. A family might attribute all of a person's behaviour to an illness or disability, so that he may have, for example, no freedom to simply be angry. Positive family interactions are also stressed, as in many cases, families may find that they rarely said positive things to each other, before they actively started to think about it, under the guidance of a therapist. Whatever the issues between parents and children, some Golden Rules include not shouting, respecting children rather than dictating to them, maintaining boundaries and limits, and remembering that children learn by example, so we should act as we want them to act. Given the extraordinary array of seemingly different problems, that all seem amenable to some degree to intervention by family therapists, perhaps Tolstoy, had he been alive today, would have amended his opinion, or added that whatever the cause of the unhappiness, it seems that it's usually worth giving family therapy a try.